Joseph K. Domenico, DPM, specializes in podiatric medicine at Blackstone Valley Foot & Ankle. He helps children, adults, and athletes alike throughout Pawtucket, Rhode Island stay active and on their feet by treating a wide range of foot and ankle conditions. Dr. Domenico earned a Bachelor of Arts degree with a minor in health from Assumption College in Worcester, MA. He then graduated with honors from Temple University School of Podiatric Medicine in Philadelphia, PA in 2006. After graduation, he received his license in podiatric medicine in both Rhode Island and Massachusetts. 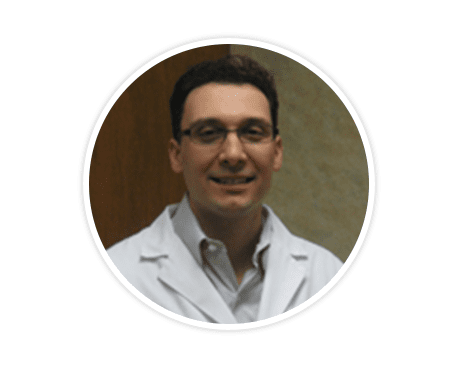 Since moving to Rhode Island, Dr. Domenico has used his 12 years of diverse podiatry experience to help people with both minor discomfort and severe pain. He believes the more information and tools patients have, the better he can help them. Whether you need custom orthotics for your bunions or physical therapy for a sprain, he is dedicated to making sure each patient has an understanding of their condition and what the treatment plan is. In addition to his work with the Rhode Island Podiatry Society, Dr. Domenico is a board-certified foot surgeon affiliated with national organizations as a fellow of the American Podiatric Medical Association and American Academy of Podiatric Sports Medicine. He is a board-certified foot surgeon, a fellow of the American College of Foot and Ankle Surgeons, and a diplomat of the American Board of Foot and Ankle Surgery.